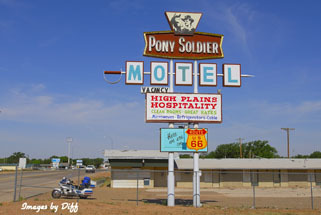 click photo to enlarge Tucumcari New Mexico is well known to the Route 66 traveler for its neon motel signs many still in working order. 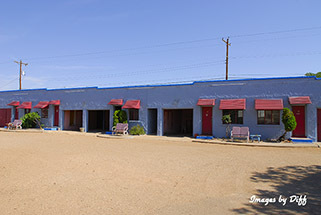 I had hoped to spend the night in Tucumcari at the Blue Swallow motel but due to some things taking longer and some not taking as long as I planned I ended up in Tucumcari in the morning. 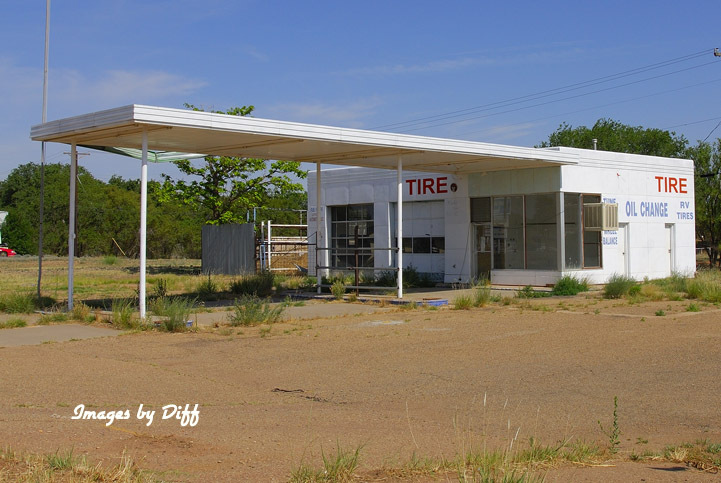 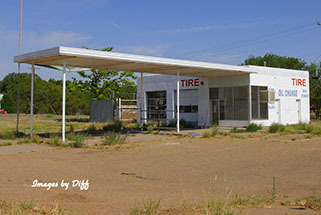 click photo to enlarge Like most small cities along Route 66 some businesses survived and others didn't and Tucumcari has its share of places that didn't make it like this gas station. 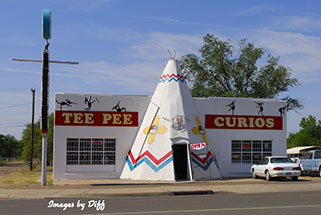 click photo to enlarge Tee Pee Curios is one of those places that just keeps going. The neon is in beautiful shape and the interesting shop is a must stop. 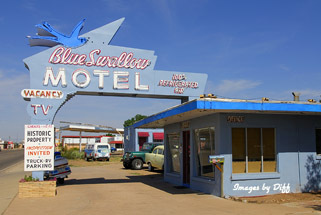 The Blue Swallow is a legend on Route 66 and the owners even encourage stopping to view the properties. They are immaculately maintained inside and out.